Princess Eugenie and her husband Jack Brooksbank carried out their first royal engagement as a married couple on Thursday with a visit to a hospital in Greater London that’s close to both their hearts. The pair joined the princess’ father Prince Andrew at the Royal National Orthopaedic Hospital (RNOH) for the opening of a new building. The hospital is classed as the UK’s largest leading orthopaedic hospital and was where Eugenie had a life-changing operation for her scoliosis when she was a young girl. 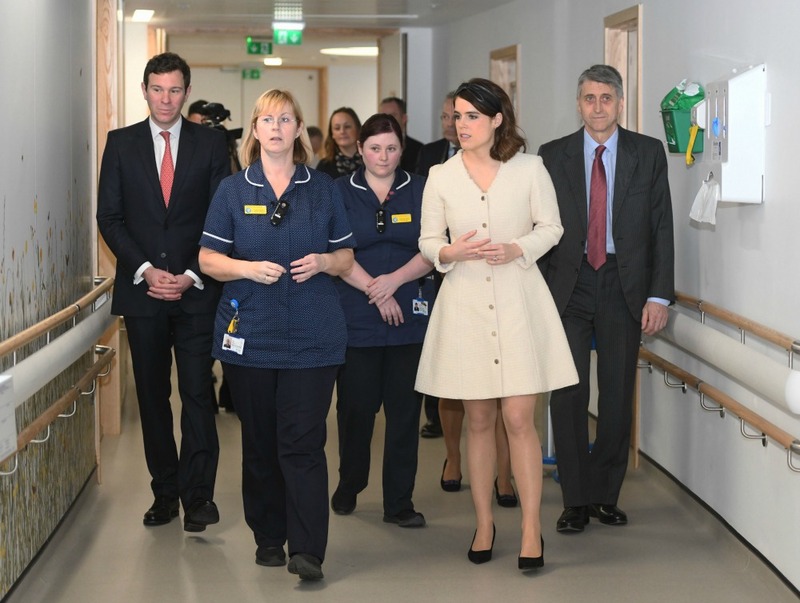 The princess looked gorgeous in a cream dress for the momentous occasion where she announced her newly appointed patronage of the hospital’s charity, a role previously held by Andrew. The 28-year-old took to social media to share details of the visit explaining why the hospital plays such a big part in her life and her admiration for the hard-working staff who help those with conditions involving the musculoskeletal system. Eugenie also shared a collection of other snaps from the engagement along with details of her own experience at the hospital as a child. “The hospital is part of who I am after being operated on when I was 12 for scoliosis,” she wrote alongside a post. “I was so lucky to have Jack come with me so I could show him where I had life changing surgery. Eugenie’s mother Sarah Ferguson also took to social media to share in the special moment, noting how proud she is of her daughter for the work she does to help others. According to Hello Magazine, Eugenie had two metal rods inserted along her spine as a child, along with two 3.8cm screws to her neck to help with the condition. Months before she tied the knot with Jack in October, Eugenie shared an image of her X-rays for the very first time, showing the pins and rods she had put around her spine to treat her scoliosis. Honouring International Scoliosis Awareness Day, the young royal shared the image with her thousands of Instagram followers with a heartfelt message of thanks to the RNOH. Taking to social media she wrote: “Today is International Scoliosis Awareness Day and I’m very proud to share my X-rays for the very first time. 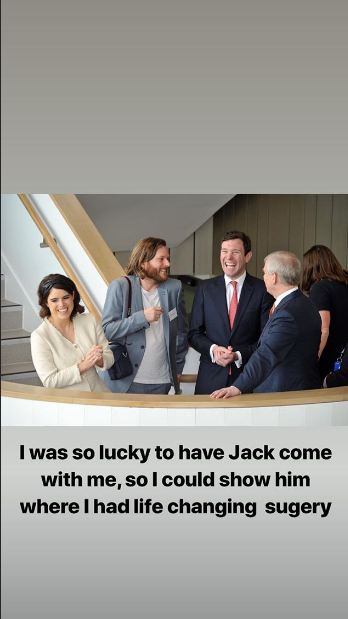 Are you a fan of Princess Eugenie? What do you think of the work she does throughout the country?